Home > Articles > WWII > Battle of Britain > The Battle of Britain: a Naval Victory? 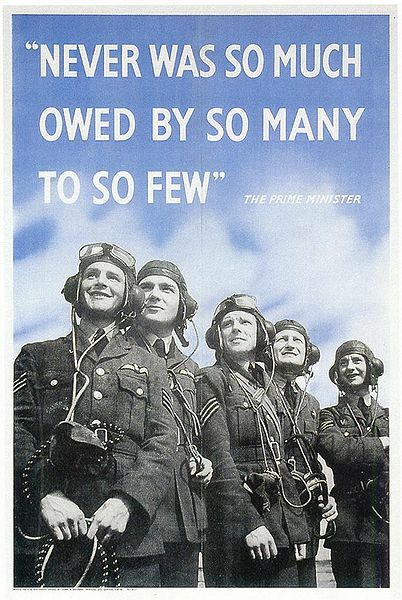 ‘Never in the field of human conflict was so much owed by so many to so few’, said Winston Churchill, in praise of the pilots who took part in the Battle of Britain. The belief has been that the skirmish of 1940 was an aerial victory but in common debate of recent years this has been disputed. It has been said that the British triumph may in fact have been down to the might of the British Navy and that people have been perpetuating a mere myth originating from Winston Churchill. According to several historians, even if the British RAF had been overcome a German invasion would still not have had success. The German plan, codenamed Operation Sealion, sought to invade Britain by landing 160,000 soldiers along a 40 mile coastal stretch of South-East England. Operation Sealion was, however, postponed (later cancelled) and the attacks of the Battle of Britain began in earnest. However, Hitler’s generals were concerned that during the invasion the German Navy would be extremely vulnerable to air attack and that in order for a successful invasion to be possible, they needed to have control of the skies. Alternatively, it could be said that Hitler was never serious about going ahead with Operation Sealion and that the mere presence of the Royal Navy was enough of a deterrent against German invasion. The German navy or Krugsmarine was numerically far inferior to Britain’s Royal Navy. Huge losses had been suffered during the Norwegian campaign of April 1940, with particular losses including two light cruisers and ten destroyers. With the U-boats being unsuitable for the shallow, restrictive waters of the English Channel the German plan was to use river barges as they had no specialised landing craft. These however were vulnerable to attack and there simply were not enough of them to secure victory. Additionally use of these barges would have severely limited the number of artillery and tanks that they were able to transport. Clearly Germany would not have been in a strong position. The suggestions that the German forces had no chance of defeating the might of the British Navy does somewhat crush the idea that the efforts of the RAF were entirely responsible for holding the Nazis at bay. Having said this, neither can the British victory be entirely accredited to the Navy. Bill Bond, founder of the Battle of Britain Historical Society, is quoted as saying ‘Without air cover the Luftwaffe bombers would have smashed all the ports.’ Seemingly the Navy were not entirely unbeatable and may not have been a match to direct attack from the air. Surely then the threat of the Navy can not have been the only aspect of the British defence that protected us from invasion. Could the simple answer to this debate not be that the Battle of Britain was a collective effort against the threat posed by Hitler’s Germany? It may be that Hitler never really intended to follow through with Operation Sealion as he realised that the Royal Navy were simply too powerful, but this does not necessarily mean that the Navy alone kept the Nazis at bay. The indisputably courageous actions of the British RAF were united with Britain’s clearly superior Navy and thus secured British victory.